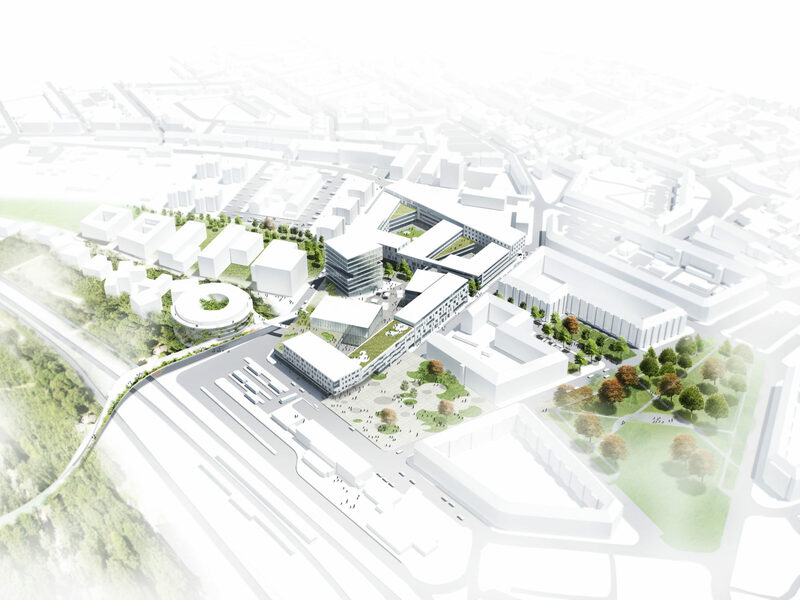 Campus Horsens is an ambitious project for establishing a central city campus, which brings together the University, Technical High School, The Innovation House and Health School. 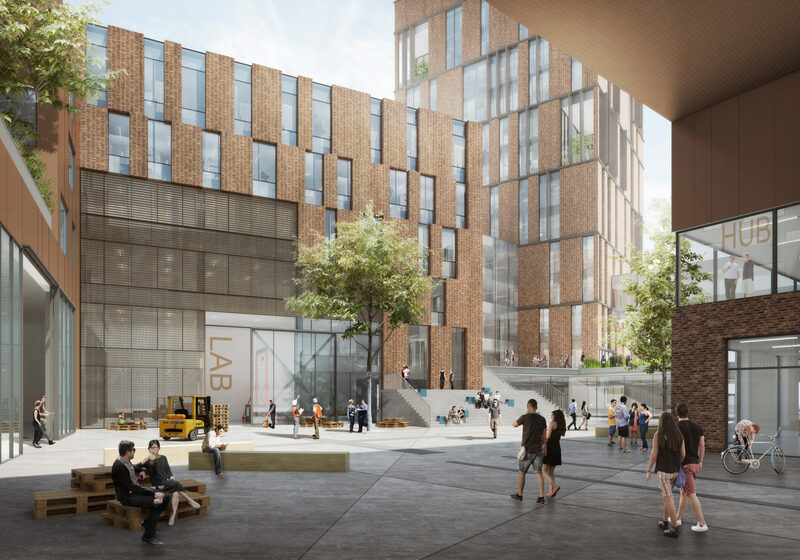 The architectural competition involves a new masterplan for 82,000 m² of educational building and outdoor spaces as well as the full conceptual design of 39,500 m² with administration and learning environments. The overall plan collaborates typologies from the traditional block building with modern compact construction. 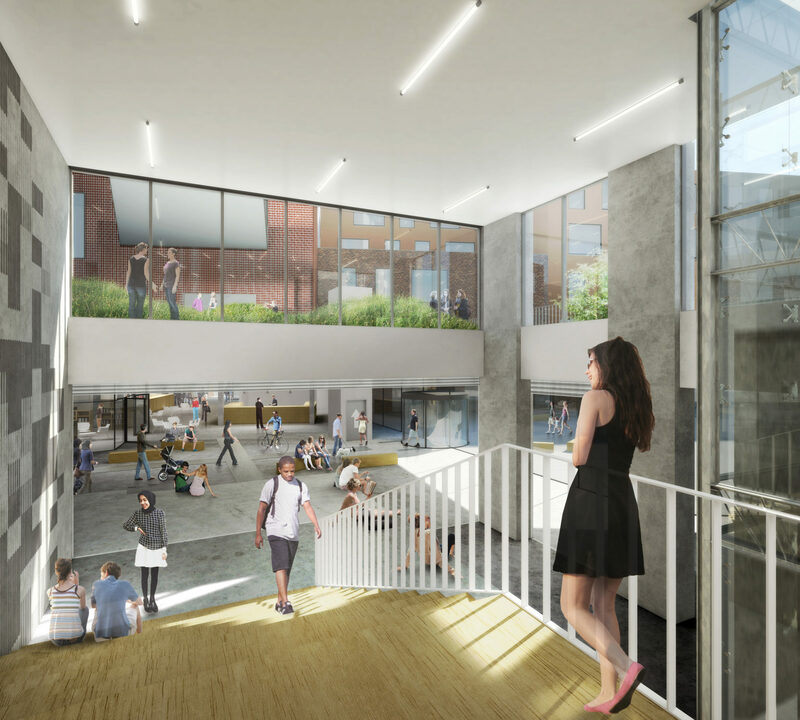 The lay-out of the Campus is an open structure with public spaces and urban rooms that call for interaction between students across age and choice of education as well as inviting citizens to participate in the Campus life. Makerspace is the area’s raw and robust urban space. Here there is room for the big arm movements and hands-on projects. The design is based on ‘360 degrees sustainability’, with particular focus on digital studies of light and shadow conditions, sustainable urban drainage systems, and construction-integrated solar shielding. At the same time, it has been important to create a simple and buildable design that is economically efficient in the construction phase as well as during maintenance. The conceptual strategy is a composition of 3 steps: ‘Edge of the city’ creates ‘The block’, ‘Landscape from north’ creates ‘The cubes’ and ‘The green cover’ creates ‘The Campuspark and gardens’. All workshops, laboratories, canteens, cafes, the bookshop and receptions are located in a highly transparent ground floor that exposes the student activities towards the surroundings and contributes to a lively city-environment. 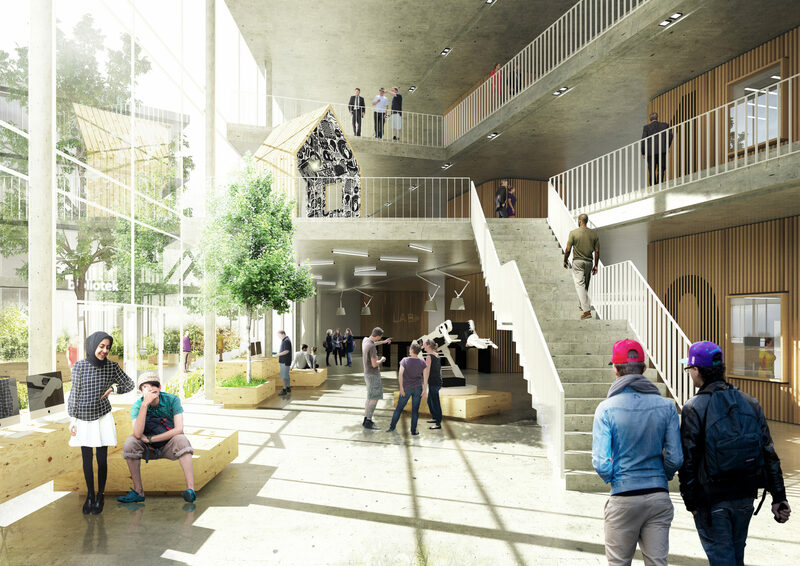 In the project special attention was paid to the integration of outdoor space for creative workshops, such as Maker Space, the arena for sports and theater as well as large urban stairs for teaching and hanging out. The interior spaces are characterized by plenty of daylight and a combination of glass, concrete and the ‘warmth’ from wood.